Paris, December 5th, 2018 – The Board of Directors of Capgemini SE, meeting on December 5th, 2018, decided to appoint by co-optation a new director, Laura Desmond, following a proposal by the Ethics and Governance committee chaired by the Lead Independent Director. Laura Desmond is Founder and CEO of Eagle Vista Partners, a strategic advisory and investment firm focused on marketing and digital technology and has been a member of Adobe’s Board of Directors since 2012. She will bring to the Board of Directors of Capgemini SE her wealth of experience in digital strategy, data analytics and content, developed as a seasoned executive and Director at key industry players servicing leading clients. Laura is an American citizen and lives in Chicago. “I am looking forward to sharing, as a director, Capgemini’s challenges and opportunities. Its success in pivoting its business toward Cloud and Digital have impressed me, as well as its management ability to build and steer a truly multicultural firm and make it one of the key leaders of an everchanging industry,” said Laura Desmond. Laura Desmond’s nomination will be effective from January 1st, 2019. Her appointment reflects the Board’s ambition to further the internationalization of its composition, deepen industry expertise and enrich the diversity of its profiles. As of January 1st, 2019, Capgemini SE’s Board of Directors will comprise 13 directors, including two directors representing employees. 80% of the directors will be independent, 23% with an international profile and 45% women. 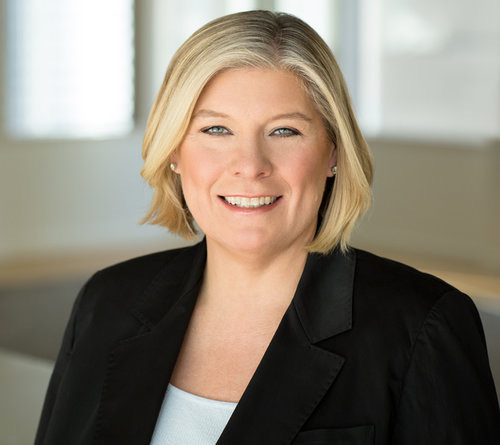 Laura Desmond has been a member of Adobe’s Board of Directors since 2012; Syniverse Technologies (2016) and is Lead Director of Double Verify (2017). She is Founder and CEO of Eagle Vista Partners, a strategic advisory and investment firm focused on marketing and digital technology. Prior to this, she was the Chief Revenue Officer of Publicis Groupe, from December 2016 to December 2017. From 2008 to December 2016, she was the Global Chief Executive Officer of Starcom MediaVest Group (SMG), a global marketing and media services company which is part of Publicis Groupe. Prior to her appointment as Global Chief Executive Officer in 2008, Desmond was Chief Executive Officer of SMG — The Americas from 2007 to 2008, where she managed a network spanning the United States, Canada and Latin America. Laura was Chief Executive Officer of MediaVest, based in New York, from 2003 to 2007, and from 2000 to 2002 she was Chief Executive Officer of SMG’s Latin America group. Laura previously served as director of Tremor Video, Inc. from January 2012 to September 2013. She holds a B.B.A. in Marketing from the University of Iowa. Laura and Eagle Vista Partners are both based in Chicago. Laura Desmond will serve the remainder of Carole Ferrand’s mandate until 2020 at the AGM convened to approve the 2019 statutory accounts. As a reminder Carole Ferrand stepped down from the Board on May 28th. The two directors representing employees are not taken into account in calculating this percentage, in accordance with Article L.225-27 of the French Commercial Code (Code de Commerce).